Embracing plush textures and forms, this set offers the best of both worlds, an elite design promising comfort and durability. 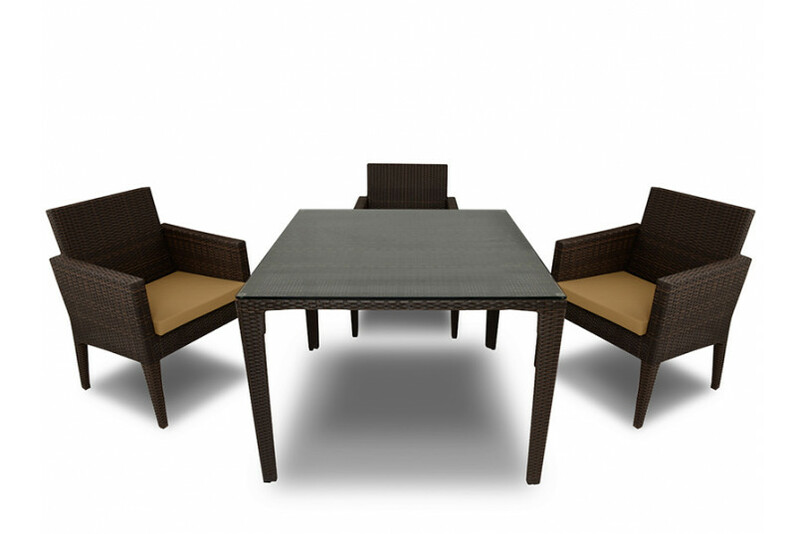 Synthetic rattan is woven on an aluminum frame to give the sturdy structure a visually distinctive look. Careful detailing and intricate scrollwork make Tropic dining table a perfectly styled and inviting piece for your backyard.